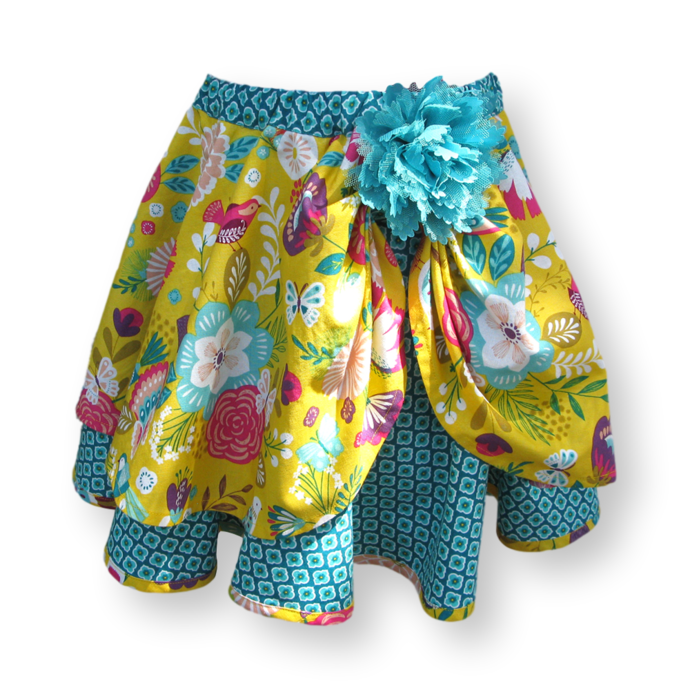 Child’s/girl’s size 5 two-layer cotton skirt with an elasticized waistband. 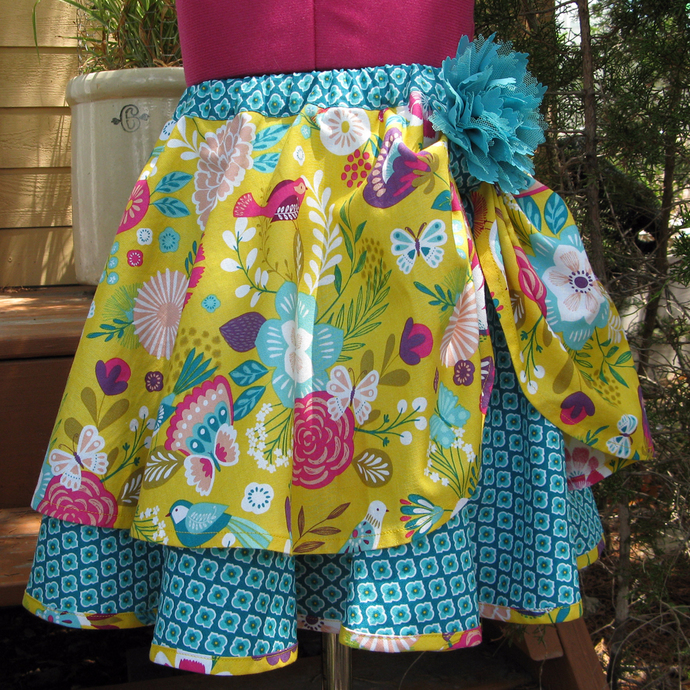 Constructed of 100% cotton apparel fabric. 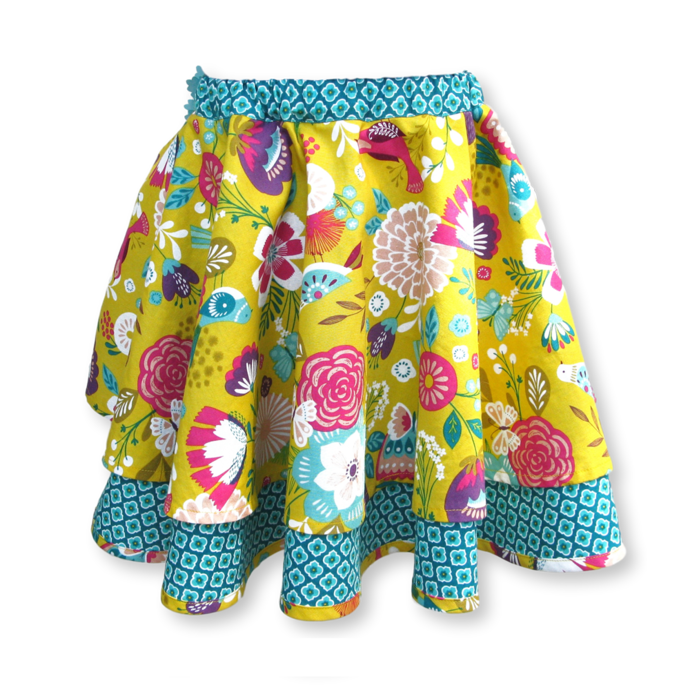 The overskirt boasts a bold floral and bird pattern with a bright yellow background. 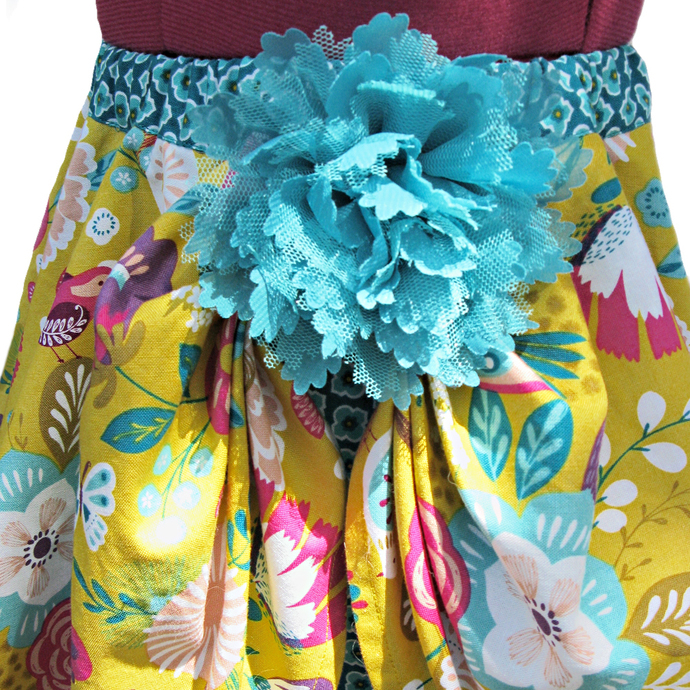 Draped overskirt is secured at the side with a fabric loop and embellished with a removable teal flower pin. 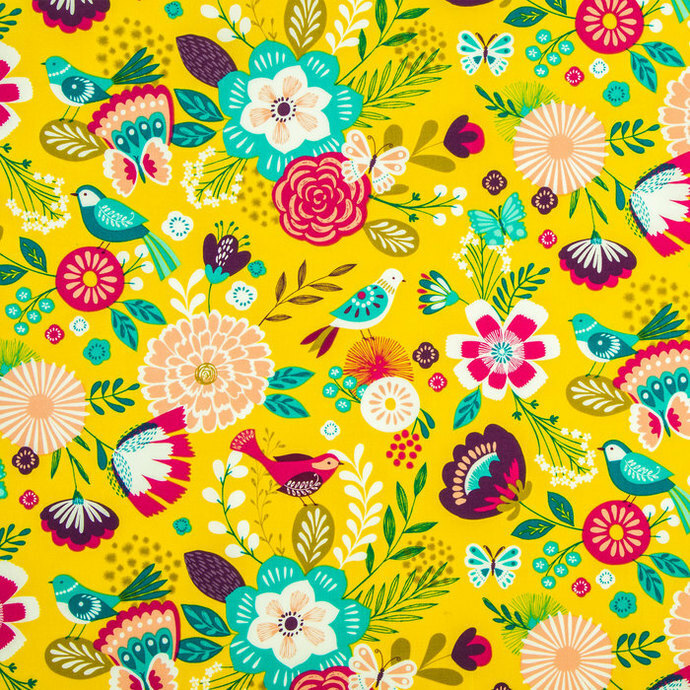 (Remove flower pin before laundering.) 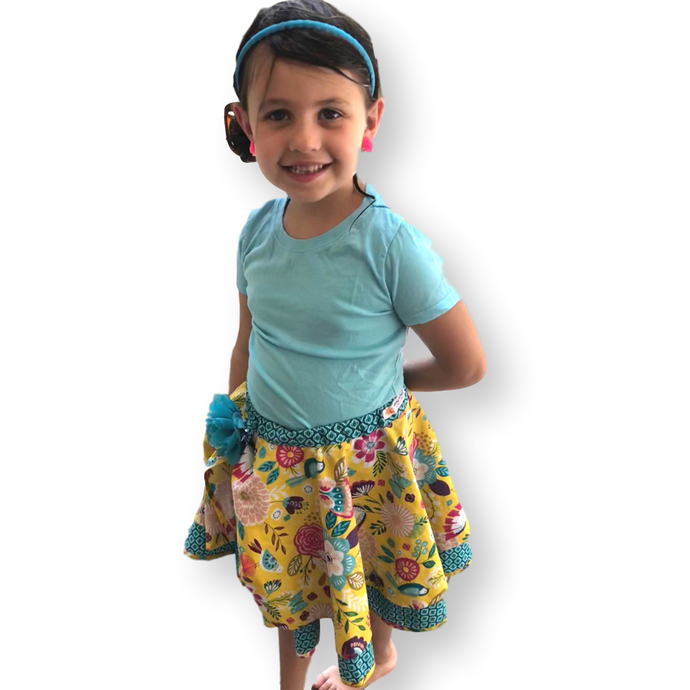 Underskirt, waistband, and overskirt fabric loop feature a beautiful ogee pattern of turquiose, white, teal, and yellow on a teal background. 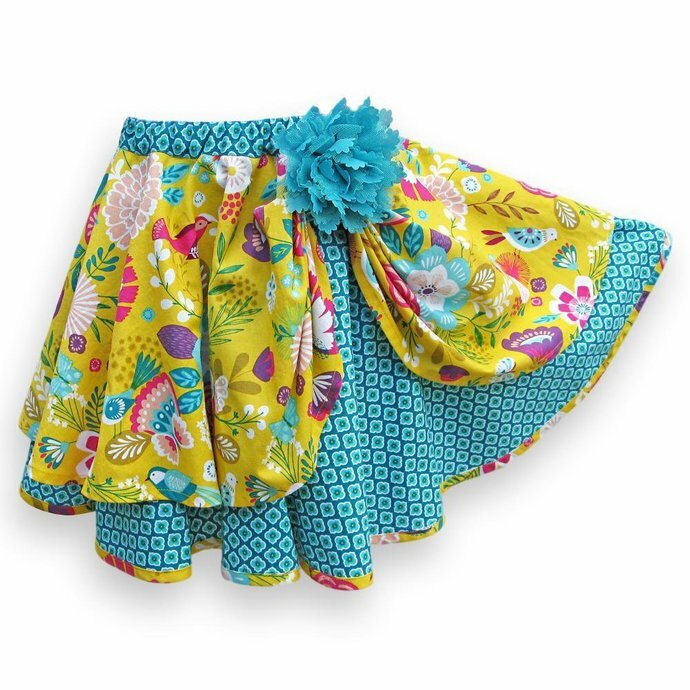 The underskirt is hemmed with contrasting binding that matches the floral/bird overskirt fabric. Free USPS Priority shipping -- US only. CARE INSTRUCTIONS: Remove flower pin before laundering. 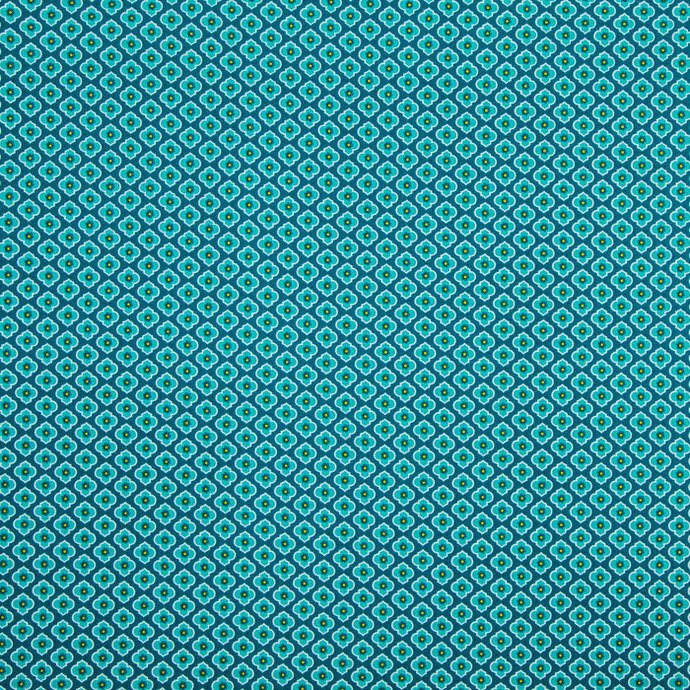 Machine wash, cold; tumble dry, low; use cool iron.